Do you believe Jesus cares for you? 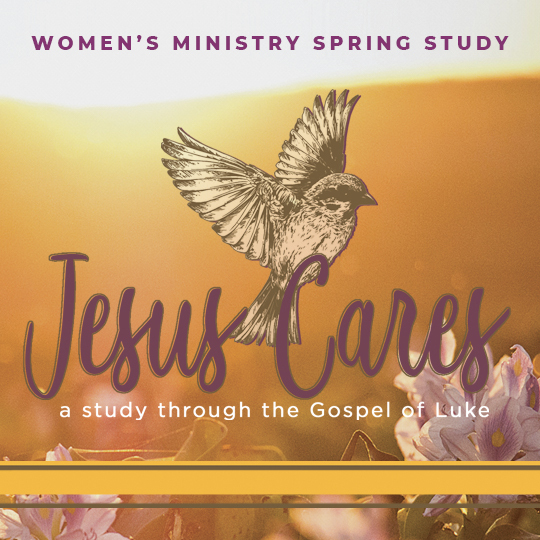 We invite you to join the Women's Bible Study as we unfold the compassionate heart of Jesus through the gospel of Luke, that you may be fully assured – "Jesus Cares." We are excited to be using a new Bible study resource! The cost of the materials is $12. If you are in need of financial assistance please email Tina@ccob.org. Register Now for the 2018-19 Session! There is also a need for childcare servants for our Tuesday morning session. If you are drawn to serve in that capacity and would like more information please email Tina@ccob.org.